Do you ever get caught up in the hype of a nail polish or trend and then forget that you actually hate it? Yea... I ordered Zoya Electra because I was all googly-eyed over holo bar glitter. When it arrived, I remembered that I actually hate bar glitter! 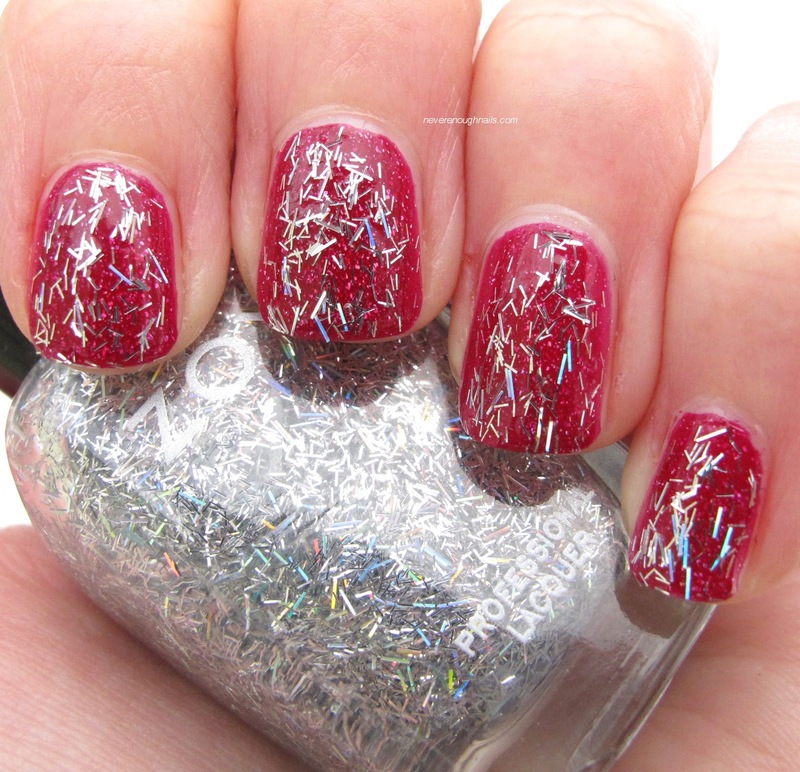 Not because Electra is bad, it's a lovely clear base packed with holo silver bar glitter! Bar glitter fans should order this pronto! I, however, am not a bar glitter fan. 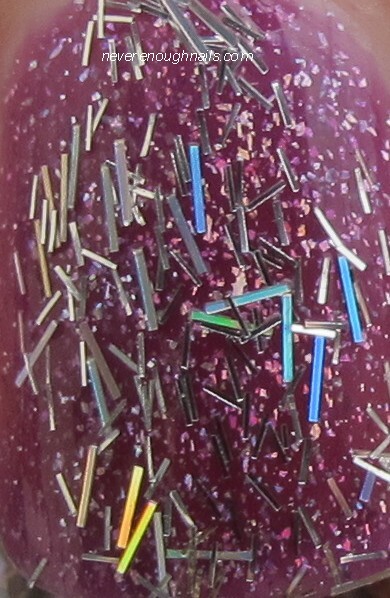 I am in the camp that thinks bar glitter looks hairy. I always forget this until I spend money on a bar glitter polish and then give it away. 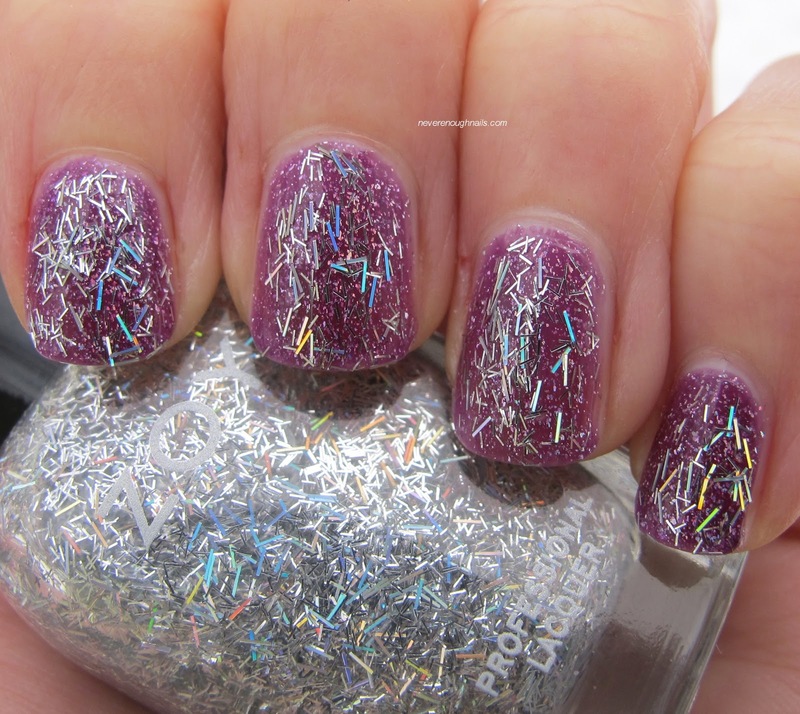 Zoya Electra is crammed full of shiny holo bar glitter. It really only needs one coat for uber-sparkly nails. Two thin coats is also stunning. It applied really well, I just had the usual bar glitter problem of pieces hanging over the edge of my nails a bit. I just push them back onto the nail while the polish is wet. Zoya Electra is available now on Zoya.com. I feel ya Elizabeth, bar glitter isn't my thing! I already gave this to my friend. She had it on by itself and it looked great from a distance! !